Save on something you would already buy anyway! 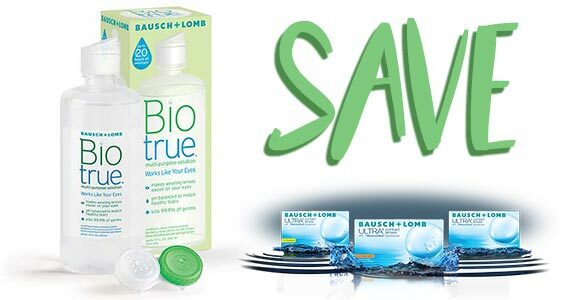 Right now you can grab a coupon for Biotrue contact solution. This contact lens solution that helps make wearing contact lenses easy on your eyes. It provides up to 20 hours of moisture, matches the pH of healthy tears and 9 out of 10 people are satisfied with Biotrue! To grab your coupon, click through to the offer page. Scroll down to ‘Pick your Great Deal’ and choose whether you want to save on a 10oz bottle of Biotrue or a twin pack. Enter your email address and you’ll get a coupon emailed to you. If you share with your friends you’ll be able to save up to $3.